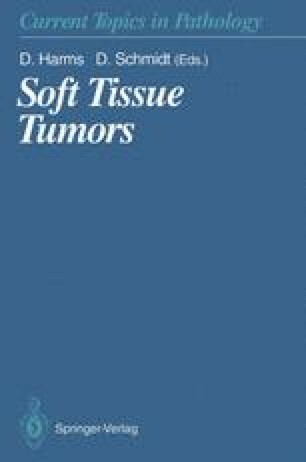 The histological heterogeneity and the variable clinical manifestations of malignant soft tissue tumours calls for a variable therapeutic approach. The essential strategy for treatment is based on a number of factors: histology, site, tumour size, local invasiveness, systemic spread and the age at diagnosis. The tumour characteristics at diagnosis are to a certain extent interrelated and not entirely independent of one another, e.g., tumour size and primary site, tumour invasiveness and histology which is also related to site and age. In addition to the tumour characteristics, there are a number of important prognostic factors which influence the type of therapy and the outcome. The dynamic prognostic factors take into account the individual chemo- and radiosensitivity of the tumour, the physical and the psychological tolerance to treatment as well as the quality of the diagnostic procedure and the treatment. The aim of therapy in each case is to ensure a relapse-free survival and avoid mutilating surgery or loss of function of a part of the body. This goal can be achieved in many situations but not in all. The potential threat of the cancer has always priority over the functional, cosmetic aspects.